If you are moving from a condo or an apartment, the idea of getting a house with a yard can both be exciting and overwhelming. You are probably looking forward to getting a grill and perhaps a fire pit and hosting barbeques. Or you are probably worrying about the upkeep of such a large space. Whether you’re one or the other, it wouldn’t hurt to know some helpful tips for when you can finally buy a home with a yard. Trees – Are They an Advantage? Trees that are mature provide a nice shade (and value!) to a property but they do come with some concerns. Before anything else, you should find out how safe the tree is. You might think it’s pretty simple and anyone can tell if a tree is in good health or not, but the truth is, only a trained arborist can determine the answer to your question. Hire one to tell you if it’s safe and to teach you how to care for your trees, too! Many homeowners love the idea of having an old tree. However, unhealthy trees do put you at risk of it falling on your power lines, cars, and even your home. You should consider the fact that you’d have to add the cost of trimming your trees added to your budget every few years or so. Hardscaping Condition – Topnotch or Downright Damaged? A property’s hardscaping includes its walkways, driveways, patios, retaining walls, and more. These features, when in top form, do add to a home’s value. Many buyers agree that they do add to the home’s character. However, when you’re checking a property, you have to be sure that all the hardscaping elements are still sound and will not turn out to be yet another costly repair project later on. Drainage – Will It Work Properly? Also, make sure that the yard is graded in a way that it slopes away from the home so as not to deal with damaged foundation or patio and basement floods when it rains hard! Check for signs of erosion near the foundation, as well as wet soil near it. Also, find out if there’s an irrigation system like underground drains where water can flow from the house to the street. Ask around if the home and the area is a flood-risk zone, too. How Much Does Your Family Love the Outdoors? Do you want a yard for your kids and pets to play and run around in? Are you fond of entertaining guests? Is it your dream to have a garden? Are you ready to take care of the yard? It will mean additional work for you. You might even need to invest on good tools and equipment like lawnmowers, rakes, shovels, and more. 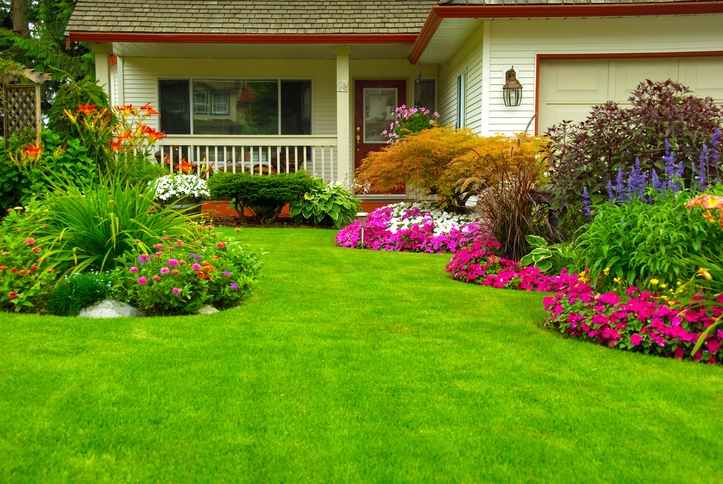 If the space has a beautiful landscaping, know that the current owner probably has that maintained to help sell the property. Will you be able to maintain it though? Keep these things in mind when thinking about buying a property with a yard. If you’re ready to give it a go, give us a call and we’ll help you find the best looking home with a yard that’s perfect for your family! This entry was posted in Buying, Real Estate Tips and tagged buying homes, home with a yard, new homes, yards. Bookmark the permalink.